What Questions Should I Ask When Buying Study Abroad Insurance? If you plan to study outside your home country, you'll need to purchase an international student health insurance plan to make sure you have access to quality medical care while abroad. 1. 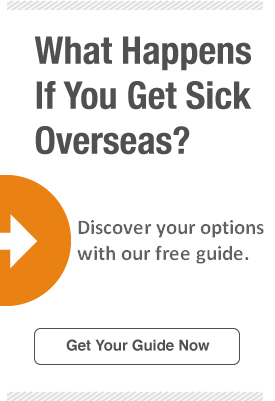 Why should I buy international student health insurance? If you become or ill or are injured while studying abroad, away from friends and family, having a reliable insurance plan is very important. The University of Colorado's Office of International Education notes that just one day of hospitalization can cost thousands of dollars. Tokio Marine HCC - MIS Group's StudentSecure plans provide comprehensive coverage abroad for full-time students and scholars. 2. Who is eligible for study abroad coverage? Each insurance company has its own eligibility requirements. In order to qualify for a StudentSecure medical plan from TM HCC - MIS Group, you must be a full-time student pursuing an education in a country in which you don't reside. If you plan to study in the U.S., the full-time student requirement is waived if you hold a valid F-1 or J-1 visa or are on Optional Practical Training (OPT). 3. Will the domestic insurance I purchased at home cover me abroad? Many international students have medical insurance in their home countries, but such plans often have limitations when they travel abroad. A StudentSecure policy can be tailored to meet your needs in your host country. 4. Will my health plan meet the requirements of my student visa? Before you buy an international student health insurance policy, make sure it complies with your student visa. TM HCC - MIS Group's StudentSecure plan is designed to meet the requirements of schools and governments worldwide, including those required of students in the U.S. on an F-1 or J-1 visa. Coverage is provided through a worldwide network of doctors and medical facilities. Studying in the U.S.? Check out these 4 ways to work on a student visa! 5. Will the plan cover me if I visit my home country while I'm studying abroad? Be sure to take your travel plans into consideration and purchase a policy that will cover you throughout the entirety of your study abroad experience. With a StudentSecure plan, you may visit your home country and keep your international student health insurance for up to 15 days for every 3 months you have been covered. After that, you must return to study full-time in your host country. Note that the reason for your visit home must not be to seek treatment for a health condition or illness. 6. Does the student health plan offer any savings? According to USA Today, health insurance generally is inexpensive for healthy students who study abroad. A StudentSecure plan may save you as much as $60 annually if you pay your insurance premiums in full when you buy your policy; the level of coverage you choose determines your cost. The StudentSecure Smart plan is designed for people with limited resources, but all TM HCC - MIS Group student plans are affordable. 7. Does the plan offer coverage for sports-related injuries? If you plan to play any sports while you're abroad, be sure to ask your insurer if your study abroad policy offers coverage for sports-related injuries. TM HCC - MIS Group's StudentSecure Elite and StudentSecure Select plans provide up to $5,000 in coverage for injuries you may sustain while participating in collegiate or club-level sports. StudentSecure Budget offers $3,000 in coverage for each injury. 8. Am I covered for pre-existing health conditions? If you buy a StudentSecure plan, the answer is “yes," once you've met the conditions of its waiting period. From your policy's effective date, there is a 6-month waiting period for coverage for pre-existing conditions for the StudentSecure Elite and Select plans. There is a 12-month waiting period for coverage for pre-existing conditions for StudentSecure Budget. Note that pre-existing condition coverage for a StudentSecure Smart plan is only applicable for the acute onset of a pre-existing condition. Prepare for your experience with our study abroad checklist- discover everything you need to do to prepare! 9. Why is international health insurance offered on a short-term basis? Short-term coverage for students abroad includes simple month-to-month payment plans, with pricing tied to your destination and your level of benefits. A TM HCC - MIS Group StudentSecure plan can provide benefits that meet and exceed the requirements of schools and governments in the countries you are visiting. 10. If I become ill as an international student in the U.S., will the government pay for my care? U.S. News and World Report says access to free healthcare for U.S. visitors is very limited. Individuals generally are responsible for their own medical costs, which can be staggering. In fact, Healthcare.gov reports that a 3-day hospital stay in the U.S. can cost up to $30,000. Whether you're studying as an international student in the U.S. or abroad, an international student health insurance plan ensures that you will have access to quality healthcare anywhere you study. With four levels of coverage to choose from, TM HCC - MIS Group's Student Secure enables you to find quality healthcare at an affordable price.